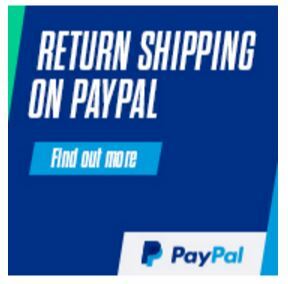 Ideal for most dimmable LEDs. 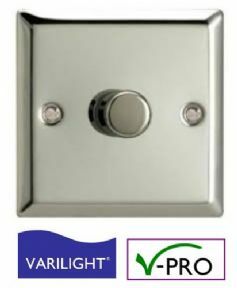 Varilight V-Pro Series Classic Polished Chrome, 1 Gang (Single), 1 or 2 Way 400 Watt Push on/Push off (Trailing Edge) Dimmer with Chrome Knob. The V-Pro Series were primarily designed for Dimmable LED's, the dimmers, with a minimum load of only 10 Watts, can operate at least 1-10 high quality Dimmable LED bulbs, it works especially well with the LED manufacturers, LEDIFY, Philips, Integral and Kosnic. This led dimmer switch can easily be used to operate up to 10 bulbs that use 4 watts of power. These V-Pro dimmers are Trailing Edge by default, but this can be adjusted to Leading Edge, please see instructions provided with the dimmer or the PDF instuctions enclosed with the product packaging. The recommended minimum load per gang is 10W. Always choose LEDs that are “dimmable” and for the best performance choose dimmable LEDs from established brands. We cannot guarantee that all LEDs labelled as “dimmable” can actually be dimmed satisfactorily. The maximum load of dimmer should be de-rated for LEDs. See below or check www.varilight.co.uk/led for latest advice on loading.